I must address the opinions and ideals set forth by our founding fathers on the subject of immigration. Madison when drafting the Constitution, specifically granted power to the Legislative branch full rights to determine the laws of Naturalization and immigration. This was done so as to remove from the states any powers over immigration, thereby centralizing policy on immigration and keeping it with the central Federal government. This begs the question, what if these three genius founding fathers were alive today espousing their views on immigration? Would the left attack them as racists? Xenophobic? I believe the answer is clear. Yes, of course they would. 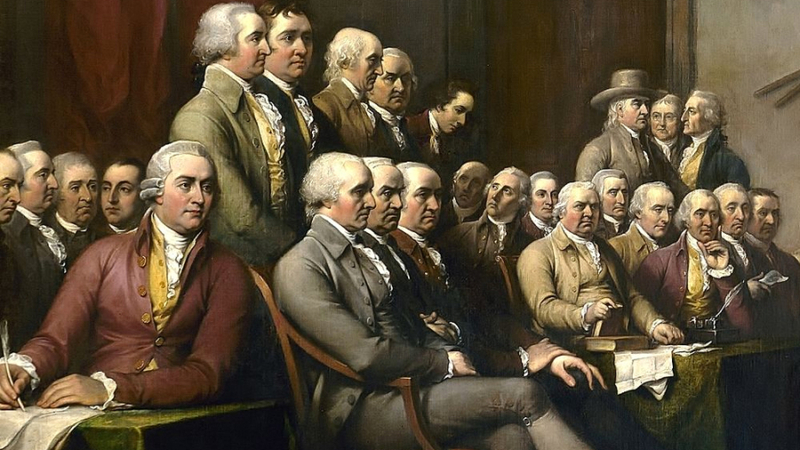 I believe intellectually and logically, that we must look towards the intentions of our founding fathers when they formed this great nation, a nation that in the history of this planet has been the most powerful, most prosperous and most free, because of the genius of these founding fathers. Their opinions on immigration must be taken into consideration when forming our current policies on immigration. For failing to do so, diminishes not only their great work in forming the United States of America, but also curtails, if not completely striking down, the Constitution and its original intent and all that it stands for.